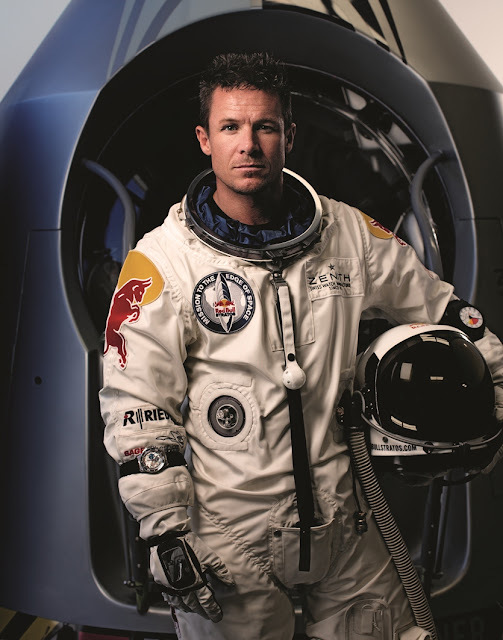 We featured the story of the intrepid Felix Baumgartner and his planned jump from close to outer space back in late August. Now the final countdown for his history making leap from the edge of the stratosphere has been declared as all systems go. 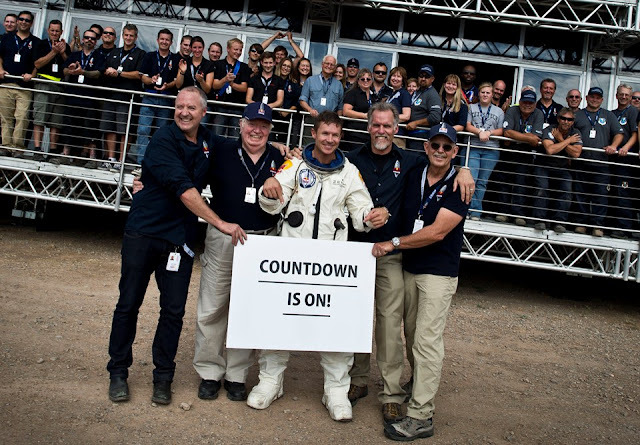 The tentative launch date for Baumgartner’s attempt to jump from an altitude of 36,576 metres is now set for October 8, finally ending the agony of waiting. The Austrian extreme sport athlete had to endure delays due to ongoing repairs but is now delighted that the countdown is on for his attempt to become the first person to break the sound barrier in freefall and set four other world records in the process. Zenith Manufacture is one of the main sponsors and sole timekeeper of this extremely dangerous mission. One of the world's most celebrated B.A.S.E. jumpers and extreme athletes, in 2003 he became the first person to make a freefall flight across the English Channel with the aid of a carbon wing. He will be flying as fast as a speeding bullet during his supersonic journey to Earth. Aviation pioneer Baumgartner and the Red Bull Stratos team have been preparing for years to eclipse a mark set more than 52 years ago. The capsule, weighing little more than a VW Beetle, was damaged in a hard landing following Baumgartner’s final test jump from a near-record altitude of 29,610 meters in July – during the jump Baumgartner was freefalling at speeds of up to 864 kilometres per hour, or as fast as a commercial airliner. The Austrian landed safely in the New Mexico desert. On September 24, the repaired capsule underwent testing in an altitude chamber at Brooks City-Base in San Antonio, Texas. The capsule was exposed to the extreme conditions it will face in the unforgiving environs of the stratosphere. After passing all the tests, the capsule was sent back to Roswell. 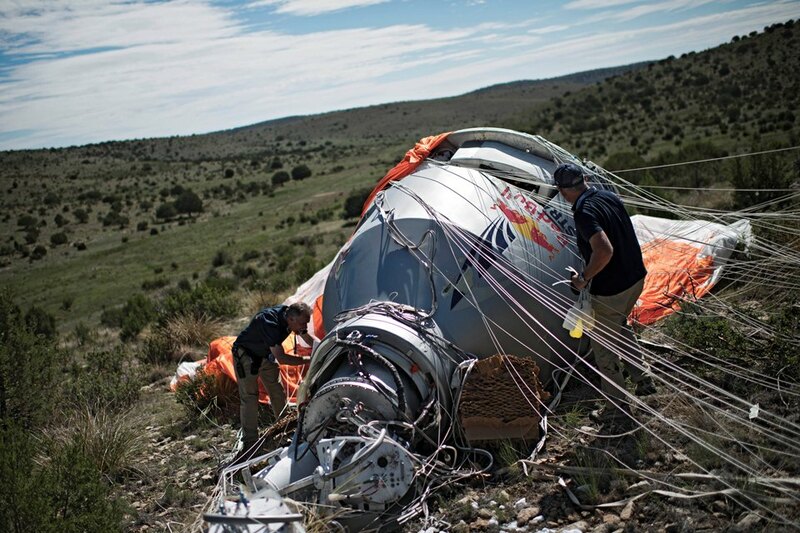 A central aim of the Red Bull Stratos project is to collect valuable data for science that could ultimately help improve the safety of space travel and enable high-altitude escapes from spacecraft. The jump will also attempt to break an assortment of records such as highest speed in freefall, highest jump, highest manned balloon flight and longest freefall. Thompson is cautiously optimistic about the launch date of October 8, while acknowledging that perfect weather conditions are needed for the delicate 850.000 cubic metre helium balloon, which has 1/10th the thickness of a Ziploc bag. Mission meteorologist Don Day confirmed, "Early fall in New Mexico is one of the best times of the year to launch stratospheric balloons." Zenith “trials by fire have included the El Primero that crossed the Atlantic fixed to the landing gear of a Boeing 707 in 1970, on a flight from Paris to New York. Subjected to drastic changes in temperature, pressure and terrible jolting, it maintained its regular cadence of 36,000 vibrations per hour and required no adjustment, having remained accurate to the nearest second – apart from the inevitable time zone difference. 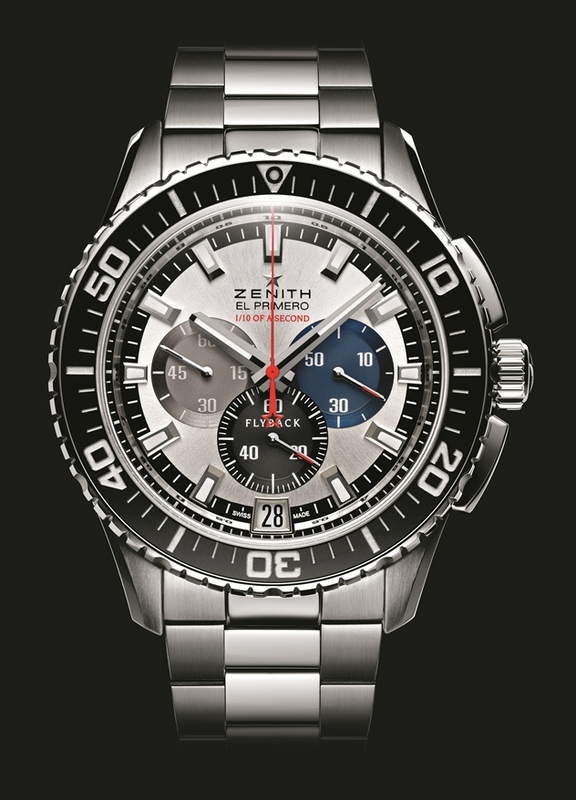 This mission in the stratosphere will test the reliability and stability of the Zenith El Primero Stratos Chronograph under the most extreme conditions: temperature, low pressure, speed, friction, and impacts.